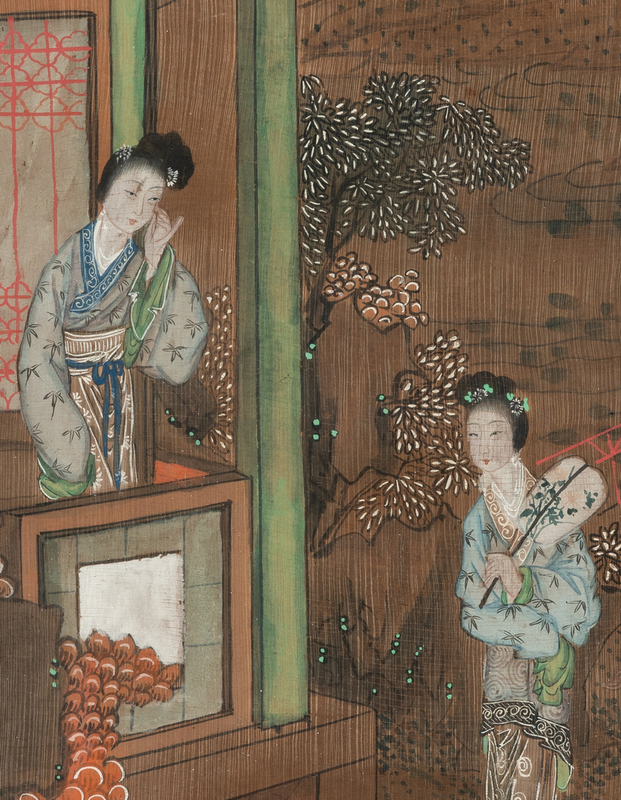 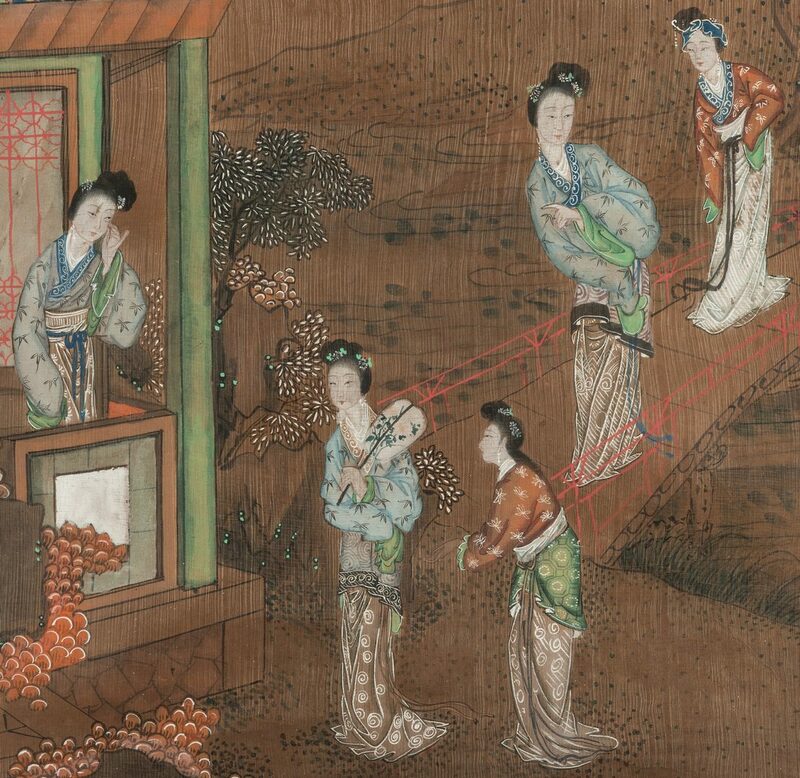 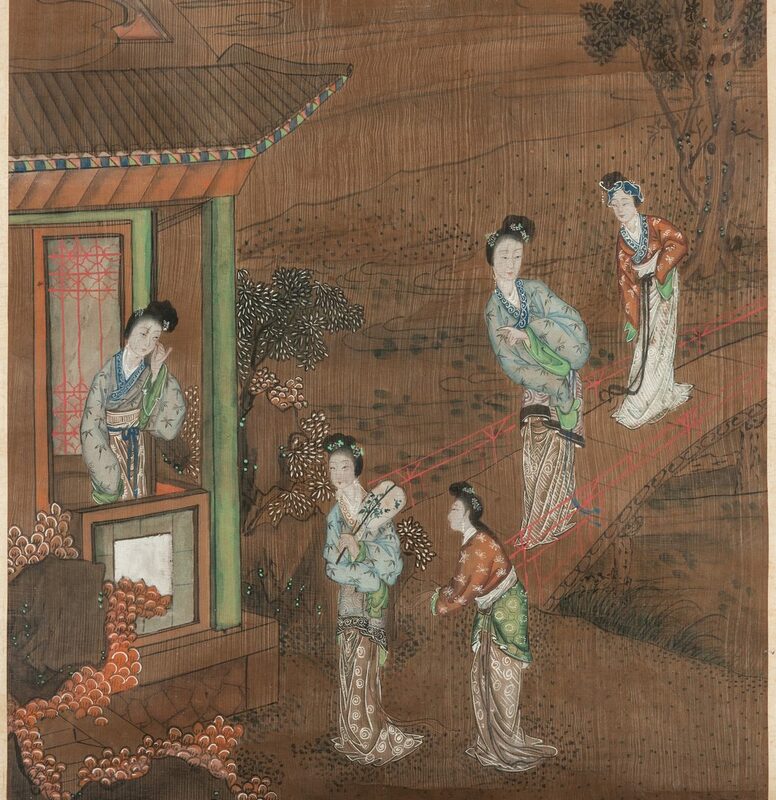 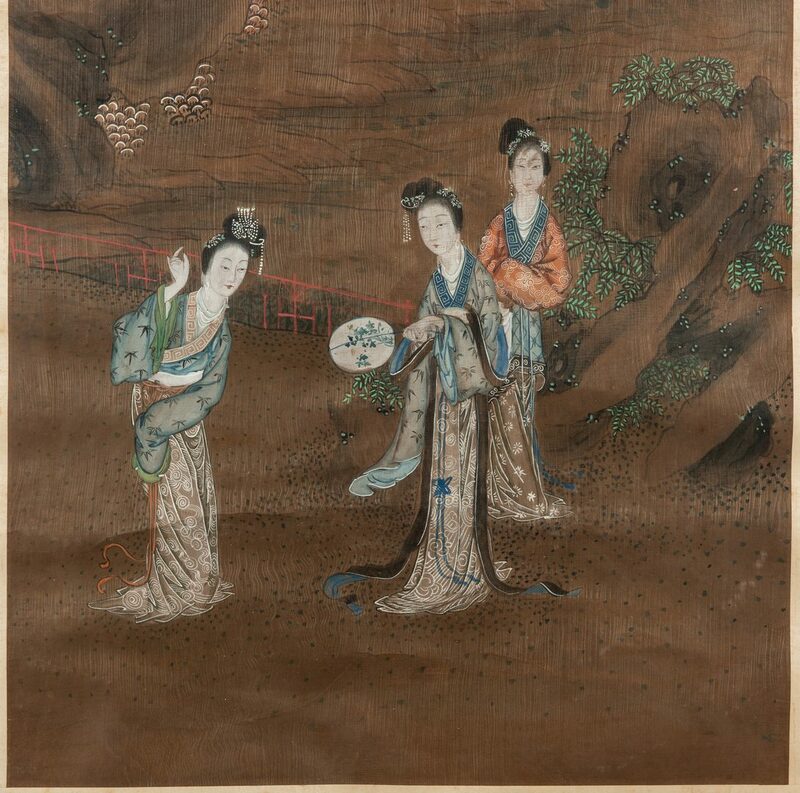 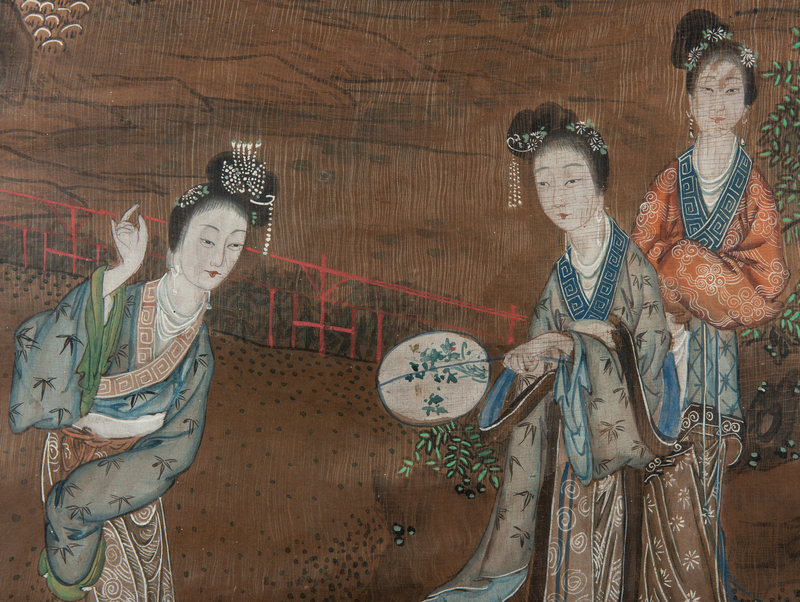 Large Chinese watercolor and gouache scroll painting depicting females in formal dress engaging in various activities in a landscape setting, one standing on a balcony. Housed in a painted wood frame. Image – 59" H x 20 1/2" W. Framed – 71 3/4" H x 28 7/8" W. Qing period, likely early 19th century. CONDITION: Overall toning, foxing spots, large areas of dampstaining to bottom border. 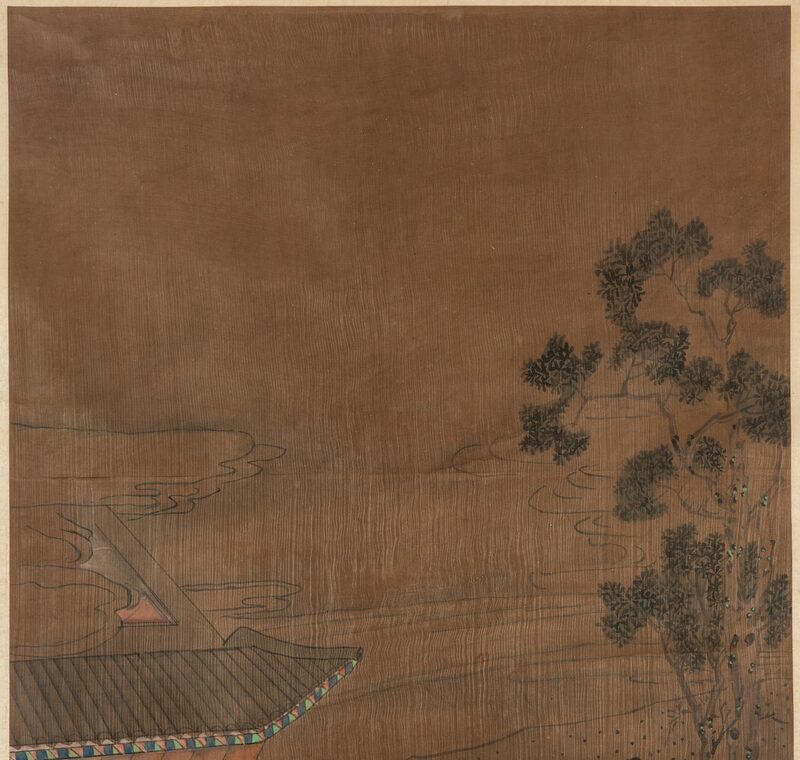 Waviness to scroll paper, some light craquelure to paint. 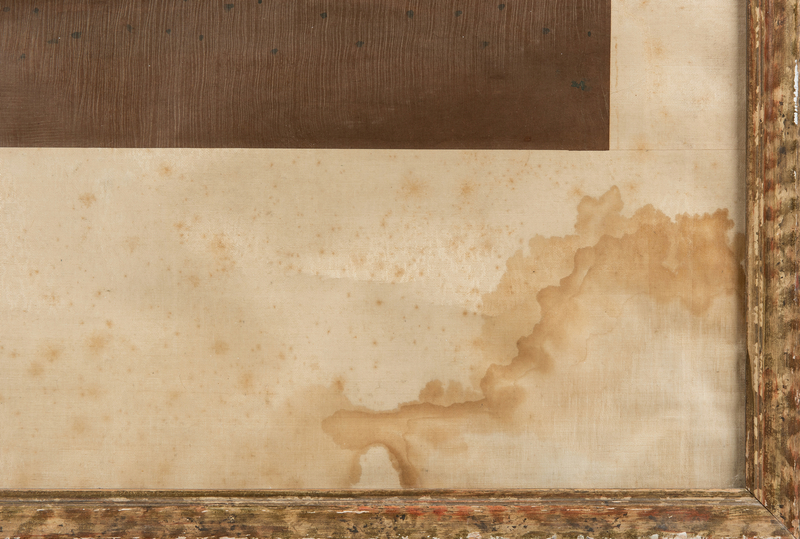 Abrasions and paint loss to frame.